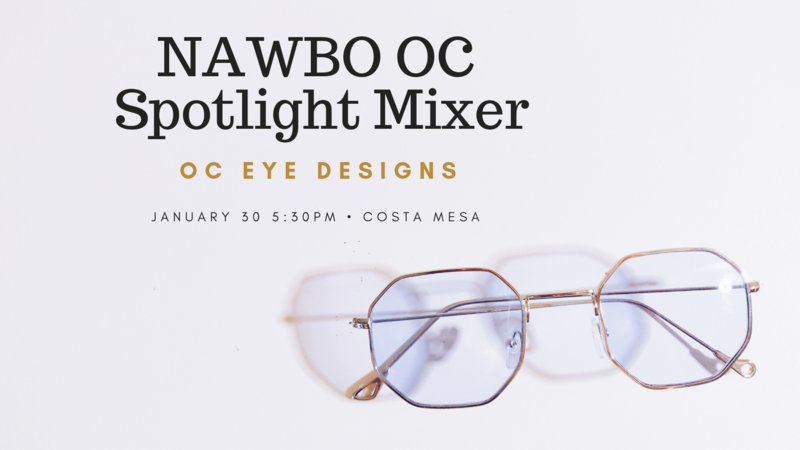 Please join us for wine and appetizers hosted by Dr. Alissa Wald, Owner of OC Eye Designs Optometry. All attendees will receive a free vision screening and will be entered to win a free pair of sunglasses! Also, NAWBO OC Members and their employees will receive 20% off.